A SUPERB OPPORTUNITY TO ACQUIRE AN OFF PLAN VILLA OF GREAT QUALITIES. Various options are available in terms of external design and bespoke finishing. 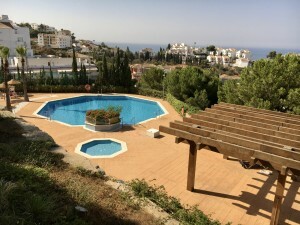 Locations include Buena Vista, located between Mijas Village and Benalmadena village, La Cala de Mijas, Mijas costa, La Noria and Torremuelle, Benalmadena. Prices range from 675.000? to 875.000? for plot and build and internal finishes are open to a variety of choices, but include quality fitted kitchens and bathrooms. Price includes the purchase of the plot, villa construction, second fix and all licences and professional fees. Build time less than 12 months. Standard pool installed 8m x 4m. Also see our reference number V3975 for other options. High quality build recommended for clients looking for a new build villa in a desirable location with a quick lead time to completion.